I have a terrible confession to make: I write books for money. Filthy lucre, the root of all evil, dead presidents, moolah, dough, the ultimate capitalist tool — whatever you call it, that’s a big part of why I seek publication. I care about my craft and submit to critique groups and tear up lousy pages not just because I love good writing, but because I also want to create a quality product. People who plunk down their hard-earned cash for one of my books should feel like they got their money’s worth. I would like to take this opportunity to thank every single person who bought one of my books last year. From the bottom of my heart, thank you for giving me a chance to entertain you through either a mass market paperback or a digital copy. If you liked the books so much you loaned them to a friend, or friends, thank you for the recommendation! I’m thrilled that you would do that. I would also like to thank those libraries that purchase my books for their patrons. I am grateful to you. Those of you who uploaded digital copies of my product to sites that engage in mass distribution of copyrighted material without regard to the creators’ rights…nope. No gratitude. 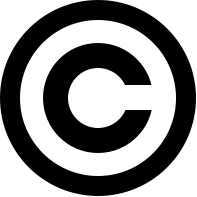 While the Stop Digital Piracy Act includes sections considered too controversial to pass, many opponents of the bill agree that pirate sites should be shut down. I only wish more people, *coughSwedencough* agreed with them. My books, like every other copyright-protected electronic file, are not free information. They are unique creations. Producing them takes weeks or months. I write the best story I can. I developed the characters and plotlines and arranged the words into those particular stories, and as their creator, I have certain rights regarding their use and distribution. Copyright law gives me the right to profit from my own work. It gives me, according to www.merriam-webster.com, “the exclusive legal right to reproduce, publish, sell, or distribute the matter and form of something (as a literary, musical, or artistic work)”. I granted Kensington the rights to publish my work because they are in the business of turning manuscripts into books. The publisher decides how and where to distribute my books. Not someone who uploads a copy to a pirate site, not the pirate site itself, not even me. I can use excerpts for marketing purposes and quotes, but if I want copies of my book for giveaways, gifts for promos, I buy them. This is the contract I read and agreed to. I benefit from the agreement because I reach a wide market through legitimate distributors, and that means more royalty money for me. And it means copies of my books are available for you to read in print and electronic formats, provided you cross my palm with silver, figuratively speaking. Cause yes, I write books for money. Pirate sites are despised by writers, musicians and film makers with good reason. They violate our rights to our own work while making outrageous claims: Like the exposure benefits us. Or we shouldn’t have electronic copies of our work available online if we didn’t want them stolen. Or those sites only exist to let people swap property with their ‘friends’. Or that all electronic information belongs to everyone. As far as I’m concerned, royalties instead of unpaid-for downloads will benefit us. We put our creations online for profit. Sharing electronic files between ‘friends’? In the tens of thousands, most of whom have never met? Does anyone actually believe that??? And to those who insist that all electronic information belongs to the world — upload your online banking passwords & maybe we’ll talk. Sharing — Or Fencing Stolen Goods? ROTFL! That would be a large placard wouldn’t it? Seriously though, the number of people who equate copyright as an infringement on free speech online is amazing. They’re just not used to thinking of a file as a form of property. Education time! I love your site and your article. I’m so glad you enjoy it, Linda. It was especially fun to write this week’s entry!